Bethesda has banned a group of Fallout 76 players for life after they launched a homophobic attack on others in the game. “We have come to eliminate all gays,” players can be heard saying in a video of the incident. As reported by Eurogamer, the incident, which originally took place a couple weeks ago, lasted about 10 minutes and consisted of one group of Fallout 76 players taunting and harassing another group using homophobic slurs over proximity chat while trying to hunt them down. Fallout 76 is an online game where players coexist on a single map and are able to team-up, trade, or in this case virtually recreate hate crimes. Bethesda, who did not return a request for comment by Kotaku, told Eurogamer that it had initially instituted a three-day ban against the offending players after AJ shared the footage with them. However, after reviewing the incident further, the publisher decided to ban the players for life instead. 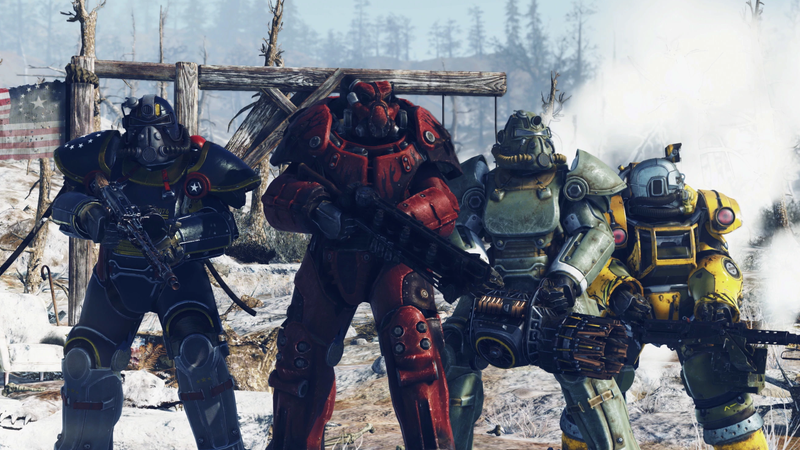 While players in Fallout 76 can block one another, there’s no in-game report feature. Short of sharing footage on social media or going to the press, there appear to be few ways to alert Bethesda about incidents like this and help prevent them from happening again in the future.